A Dreamer and Dervish performer with the spotlight in her eyes and work to do. 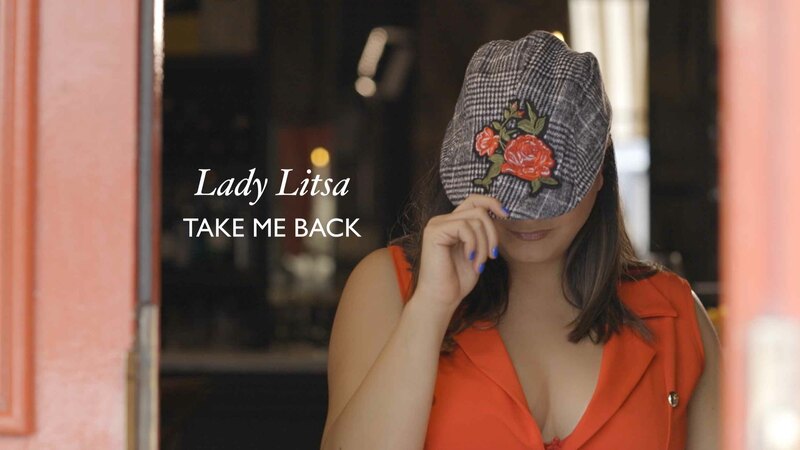 Lady Litsa returns in 2019 with a brand new pop single titled ‘Take Me Back’. This is hot off the back of her previous Vodacom chart topping single ‘You Are The One’. Lady Litsa is working on a slew of brand new releases for 2019 and Take Me Back is definitely going to have you begging for more. Pursuing the passion and constantly chasing opportunities there is a fire in the belly that will not be doused. Litsa’s sensitive lyrics, strong melodies. and a sensual voice make her a force to contend with. As the youngest of a warm Greek South African Restaurateur Family, this baby made no bones of what she was born for. A performer before she could even walk, it was clear she was heading to a place where nothing is impossible and dreams come true. Growing up, there wasn’t a play, a performance, a concert or an excuse for her to not participate at any turn and whatever the audience, as long as there was one. Her songwriting career started at the age of 12 with a song she wrote called “They Took You”. age of 12 was in front of 1200 people which clearly cemented the high that applause brings. Lady Litsa’s ability to write a song on a whim, even when driving is witness to her keen ear and hunger to create. She has worked on other artist’s albums, has many collaborations under her belt and is looking forward to many more. Later she won talent competitions in the UK and then attended Waterfront Theatre School. It culminated in her getting musicals under her belt with parts in The Boyfriend, Sweet Charity & Alice in Wonderland. While diligently still working at the family’s vibey restaurants, Missy made her mark with performances & collaborations with some heavyweight entertainers i.e. Zayn Adams, Taliep Petersen, Jonathan Butler, New York Sound factory, Gabi Le Roux, Alistair Izobell, The Rasiki brothers and as the only girl of the fabulous but short-lived Sounds of Soul. This girl is simply not made for sitting still and wherever the people are, she finds herself soaking up life experiences all the while honing her vocal and songwriting skills. She collaborated on a TRC commission with Jonathan Butler, Dharma Club, Shamrock Records’ Chillout album, White label dance vinyl “Keep it coming” (reached no.1 on UK dance charts) recorded jingles, voice overs for radio and even did some television continuity and appearances on a number of television shows. one…………all this without a recording contract! Hotel & live performances include star-spangled Cape Town establish- ments and lively stints around the globe including The Living Room and The Ten Rooms in London. A girl sometimes needs a break from the mundane and so LADY LITSA wended her way to the Middle East where she swayed to the sound of palm trees in Abu Dhabi , Dubai , Jordan , Oman & Doha. The dream continues, the energy remains and a thousand more songs to be written and sung by a young lady who certainly may. Lady Litsa has made breaking news as “You are the one” which topped the charts on Vodacom Live in 2017/18.